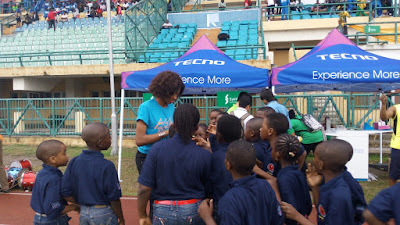 Tales of triumph and victory would be sung from the lips of Shell staff who came out tops in the just concluded 2016 Nigerian Oil and Gas Industry Games(NOGIG), leading the pack with the highest number of Gold medals. The @NOGIG, with the support of several industry giants like Globacom Nigeria and TECNO Telecoms transformed Teslim Balogun Stadium into a colorful sporting ambience. 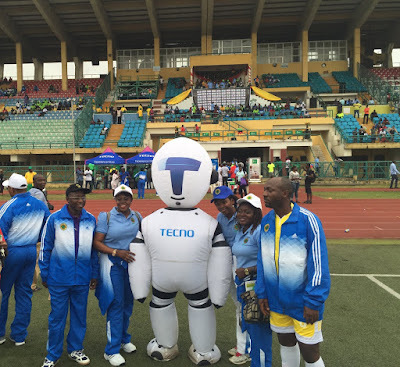 Many sporting events were conducted on the seventh day and grand finale of the 2016 NOGIG including 4x100 relay (Men and Women), 100Meter races(Men and Women), third place match between and finals between Shell FC and NNPC FC. TECNO Telecoms came bearing lots of back-to-school gifts to the children and the adults weren’t left out of the fun as purchases made at TECNO tent attracted instant gifts. Shell won the highest gold medals, however, Chief Coach of Nigeria National Petroleum Corporation (NNPC) Football Club, Frank Onyiriuka, kept his promise as NNPC FC thrashed Shell FC to a three to nothing (3-0) defeat.